Multicultural Teaching in the Early Childhood Classroom: Approaches, Strategies, and Tools, Preschool–2nd Grade (Early Childhood Education Series) est le grand livre que vous voulez. Ce beau livre est créé par Mariana Souto-Manning. En fait, le livre a 168 pages. 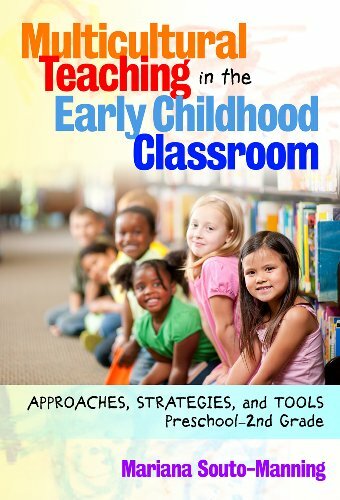 The Multicultural Teaching in the Early Childhood Classroom: Approaches, Strategies, and Tools, Preschool–2nd Grade (Early Childhood Education Series) est libéré par la fabrication de Teachers College Press. Vous pouvez consulter en ligne avec Multicultural Teaching in the Early Childhood Classroom: Approaches, Strategies, and Tools, Preschool–2nd Grade (Early Childhood Education Series) étape facile. Toutefois, si vous désirez garder pour ordinateur portable, vous pouvez Multicultural Teaching in the Early Childhood Classroom: Approaches, Strategies, and Tools, Preschool–2nd Grade (Early Childhood Education Series) sauver maintenant. This unique book features an array of approaches, strategies, and tools for teaching multiculturally in the early years. The teachers and classrooms portrayed here provide young children with rich educational experiences that empower them to understand themselves in relation to others. You will see how amazing teachers engage in culturally responsive teaching that fosters educational equity while also meeting state and national standards (such as the Common Core State Standards). This engaging book is sprinkled with questions for reflection and implementation that encourage educators to start planning ways of enhancing their own teaching, making their early childhood setting a more equitable learning space. Multicultural education in action, including the everyday issues and tensions experienced by children and their families. Powerful vignettes from diverse Head Start, preschool, kindergarten, 1st- and 2nd-grade classrooms throughout the United States. A list of multicultural children’s books and resources for further reading.